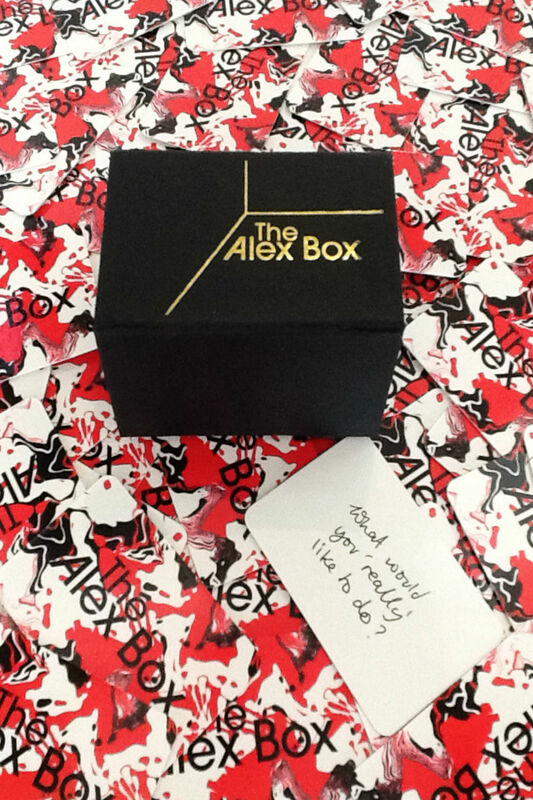 Alex Box is known for being one of the world’s most exciting and brilliant make-up artists. Her accolades are notable: from a beauty book collaboration with Rankin through to her incredible fashion week looks. But she’s probably best know – by most – as the former creative director of make-up brand Illamasqua. MC: Alex what’s this all about? I think people may be expecting you to do a make up range? MC: What inspired you to do this? Alex: “I’m always asked ‘where do you get inspiration from?’ I have a very active brain and sometimes can’t switch off how much creative thought flows through – constantly. But I realise that this isn’t always the case for others, and sometimes it’s a struggle. So I really wanted to help people in those moments who needed a little inspiration by sharing and devising a way to prompt that. My hope is that these cards might ‘ignite’ a spark in them provoking thought and new pathways of creativity in the by using the element of chance. MC: What do some of the cards have on them? What do they say as an example?